Full Lace Cap Wigs Q&A: What are they and how do they work? "What are full lace cap wigs?" All wigs have a cap construction and full lace cap wigs are no different. You’ll have noticed from our store pages that we mention ear to ear stretch and you’ll also have noticed that we don’t go to great lengths to show every conceivable angle of the cap construction and there’s a good reason for this. By using our Quick Find Sitemap you’ll see that this site is split into two sections – a place to learn and a place to shop. We've arranged it this way because we think it’s best that you know about the products before you buy so that you’ll buy what’s best for you. 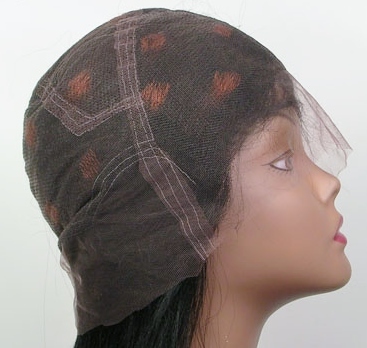 On this page you can view the common cap constructions for full lace wigs. 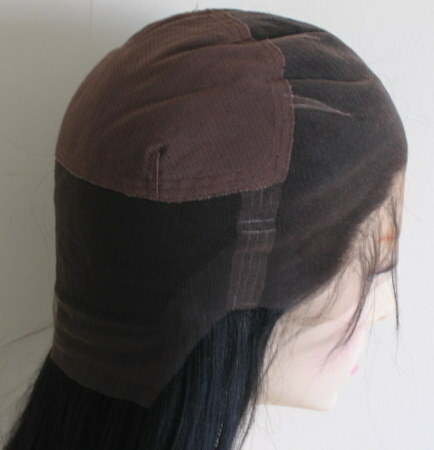 There's a detailed guide about this cap construction, but in brief, these tend to be used by more experienced lace wig wearers, those with significant hair loss and those who are only seeking custom-made full lace wigs with unique colours and lengths. Naturally you'll need to use an adhesive with this cap. Full lace wigs without stretch are generally not recommended for those who are completely new to wearing full lace wigs. As it’s made entirely of lace, you can part our hair through the middle (a half up, half down style, canerows, pigtails and so on). You may have noticed that the full lace with stretch lace from ear to ear cap constructions is one of the most versatile cap construction for lace wigs. It means you can wear the wig in a ponytail or tousled up-do (to cover the tops of the ears) as well as wearing it down. It also means that it has the flexibility to increase the circumference by up to half an inch bigger which may come in useful if growth hair gets fuller or longer. 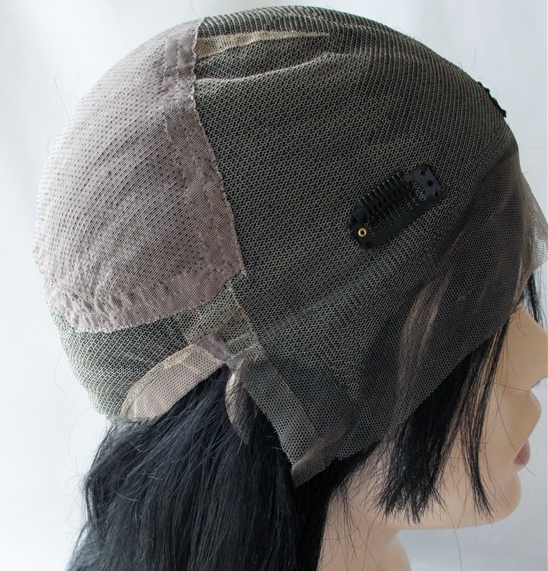 This cap construction is one of the basic full lace wig cap constructions we offer, but if it's not what you're after then simply choose another. 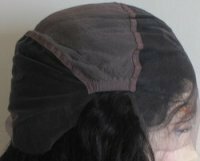 There's a detailed guide about this full lace cap construction with stretch located in the middle, but here's the overview. Naturally you'll need to use an adhesive with this cap and as the stretch at the crown is a different colour to the lace, it means that the stretch panel can be seen if you want to part your hair through the middle (a half up, half down style, canerows, pigtails and so on). Full Lace Cap Wig That Doesn't Require Adhesive (colloquially known as) "Glueless"
The term "glueless" refers to a lace a wig that can be worn without the need for adhesive (glue or tape) as traditionally lace wigs always required some form of wig adhesive. full lace wig - no adhesive required - "glueless"
The lace caps usually have adjustable straps at the back or the whole perimeter; clips or combs (or both) located that can be at the back, crown, sides which are sometimes on tabs located near the ears. There are a number of variations for the "glueless" cap construction and the detailed guide about "glueless" full lace wigs has a better outline of these variations. That's the forward march on four of the eight cap constructions for full lace cap wigs (check out the dedicated guide to cap constructions for lace wigs to find out about the other four). It's worth mentioning that the basic full lace wig cap constructions can make some full lace wigs more affordable than others.